In today’s world, musicians are expected to be a one-stop shop for their own marketing, production, PR and everything in between. Long gone are the days of A&R managers, discovering your raw talented un-branded and undeveloped. As if it isn’t hard enough to get your demo completed, you also have to figure out how to promote it, and when you should follow up. Today, there are so many tools that offer ways to automate these added responsibilities, but they don’t handle everything. You still need a strategy and plan to know how you’re going to get your music out into the world. A lot of musicians lean into this “struggle”. But if you want to become a successful musician, you need to get away from the struggle mentality and focus on how you’re going to make real money. You need to know who you are and where you are going. And sometimes that means spending time doing the things you don’t want to do. The secret to sending the perfect music demo doesn’t lie in just your talent, who you know, or how bad you want it – it lies within your ability to think outside the mind of a typical musician. It means thinking like a business owner. You are a creative entrepreneur, carving the path to your own personal future, which means you need to advocate for yourself in more ways than one. When you’re in promotion mode, it’s important you know how to maneuver around producers, bloggers, and their personal interests. Musicians who embrace the industry with a business mind will often have better insight into how to send the perfect music demo and actually get a response from the people who matter most. Leverage the clever and strategic tactics marketers and salespeople use to sell products and services. Assuming you have a demo complete and are ready to pull the plug on releasing it to labels, music bloggers, and the world, here are four things you need to do to think more like a boss when it comes to promoting your music. It can be hard to juggle all of the emails, conversations and contacts while also trying to build your talent as a musician. If you’re running in circles, trying to make things happen, it’s easy to lose track of where you are with certain contacts. It can leave you feeling restless and out of control. Nip this in bud and create a timeline of events you want to make happen throughout the next three, six, and nine months. You can also use our template to keep track of industry contacts. Start with big goals, and continue to break them down into smaller and smaller tasks. Make these tasks and goals visible and check in on it regularly. It can be a tough exercise to put this all out in the open, but it’s critical to your success. Here is a breakdown of how you can create your goals. Each item will have a deadline next to it. 2. Identify key target audiences. In marketing and business, before you ever create a campaign or business plan, you need to think of the people you are serving. 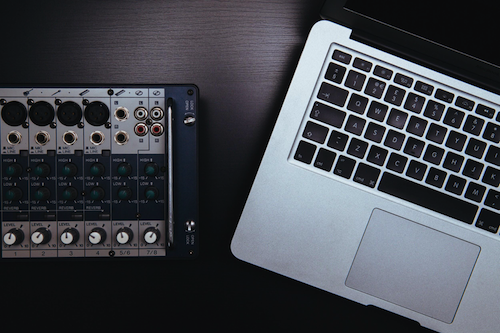 In this case, don’t think of your audience as your fans or general listeners, but think of the people you are sending your demo to – producers, bloggers, radio DJs, etc. Get to know their environment, what makes them tick, and what their motivations are. What kind of responsibilities and challenges do they face? How can you make their lives less difficult? Get to know them, understand their pains and priorities, and find creative ways to connect with them. 3. Be intentional in your messaging. No matter how many business tips we give you, at the end of the day, if they aren’t backing a quality recording, drop everything else and focus on this first. As a business minded person now, you need to be thinking about the quality of your “product” aka your music demo. You can launch all the cool, creative marketing in the world, and if it ends with a terrible listen, you’re screwed. Do your research and make sure you’re thoughtful about how and why you’re sending your demo to a record label, music blogger etc. Keep it simple, tactful, yet creative and intentional.